Have you ever written and made a speech? If the answer is yes, you will probably agree that it can be pretty scary, even when you are delivering the speech using your native language. And delivering the speech in a foreign language makes it even tougher. Whilst writing and making a speech in a foreign language is even more of a challenge……..
……..as a foreign language student you can learn a great deal from studying famous speeches and learning how to write and deliver a good one yourself. Doing so will allow you to practise and improve your reading, writing, listening and speaking skills all at the same time. The following 11 speech writing tips and the resources below are geared towards English language learners, but the advice can also be applied to learning how to write and make a speech in any foreign language. Does Writing or Making a Speech Terrify You? Writing or delivering a speech doesn’t have to be a scary thing. Indeed, with enough time and practise you can deliver the perfect speech. Following these 11 easy tips will ease your fears and help you to write and deliver the perfect speech as well as hold your audiences attention. Remember, the more prepared you are, the less nervous you will be. Abraham Lincoln delivered the Gettysburg Address in 10 simple sentences. While you may be required to speak longer than a few brief minutes, remember that your audience is looking for something that is easy to understand and gets right to the point. If your speech needs to be longer, consider some of the suggestions below to help you extend it. Depending upon the subject you could also add in a short question and answer time as well. Don’t ramble on. Grab your listeners attention right from the start and hold onto it throughout the entire speech. Whatever timeframe you have, be sure to fill it fully with interesting, useful and entertaining information. 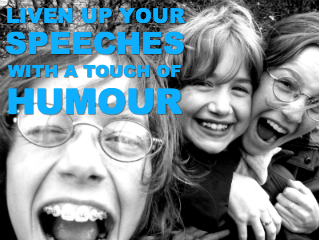 Also, don’t be afraid to use a bit of humour to break the ice and grab your audience’s attention. Other good attention grabbers can be a shocking statistic, a little known fact or even something simple that will diffuse your nervousness. After you’ve grabbed your audiences attention, it’s time for some good content. Give you audience what they came for – important information. Putting important information right up front will also help to hold their attention. It’s also also important to remember that when you give your speech you should sound comfortable. Use language that is familiar to you and that you won’t stumble over. Use words that are easy for your audience to understand and – especially if you are delivering the speech in a foreign language – easy for you to pronounce. Address the audience in a pleasant tone as if you were talking to a friend rather than a government official or member of a royal family. 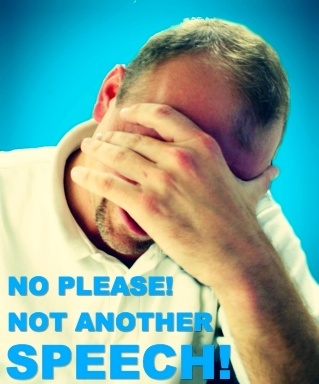 Save the formal speeches for the president and try not to stress over your speech. 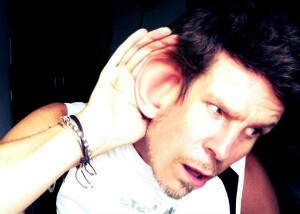 It will sound more natural and be easier for your audience to understand. Consider breaking up long details or difficult to understand information with a sense of humor. Long details can become boring, so if you break them up your audience is more likely to pay attention. A short witty comment inserted between a few serious ones is often enough to break up the seriousness or the monotony of the moment. Just as in writing a report or a business presentation, it’s important to use an outline when writing a speech. What are your main points? Are they listed in order? Do you have your facts straight? Following an outline is a great way to streamline speech writing and add things in chronological order. Give a brief synopsis of your speech for the ending. For example, So in conclusion…… or Lastly let us remember……. are good lead in sentences for a strong ending. Remember, you’ve already given the speech so all you need to do now is wrap it up so that you can get off the stage. 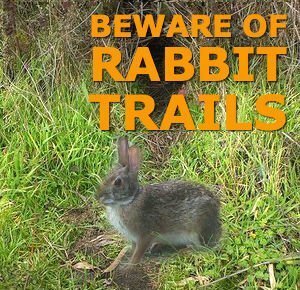 Don’t get off on a rabbit trail while you’re delivering your speech. Rabbit trails go here, there, and everywhere, and pretty much tend to lead nowhere. They confuse, bore and irritate your listeners so read through your speech several times and check to make sure there aren’t any rabbit trails. Focus your content on a narrow topic and stick with it throughout the length of your speech. Sometimes a speech can be enhanced by adding in some visual content. Charts, pictures or even a detailed graph can often be a great visual addition to a speech. Also, be sure to check the venue ahead of time to make sure that there will be a way to use your visual content. Now that you’ve written the perfect speech, you’ll need to do some practising to deliver it properly. Gather some family and friends or students in your class and practise giving the speech to them. 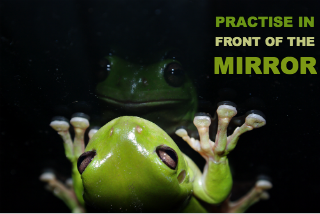 Practise in front of the mirror or until you feel very comfortable delivering your speech. You may even wish to video yourself practising your speech and watch it back for some self-critique. You’ll find out more about your mannerisms that may make or break your speech. Do you have any distracting habits? Do you pace up and down too much or too little? Do you stand immobile for too long? Is your pronunciation clear? Are you happy with your word and sentence stress? All of these quirks can be ironed out just by watching yourself back on film. Ask your teacher or your classmates to give you constructive feedback and make improvements accordingly. After your speech, make sure that you take a brief moment to thank your audience for their time. Manners go a long ways and will often open doors for you in the future. Now that you’ve got a better understanding of how to write and deliver the perfect speech, you can get to work on writing one. And don’t worry if you feel inadequate – many speech writers and famous speech makers feel less than qualified and they do just fine. With practise and patience you, too, will do just fine and your audience will no doubt be delighted. One of the most important speeches in recorded history was given by a comedian by the name of Charlie Chaplin. If you like what you see please share the video any way you can and pass the message on. It is of course purely fictional but he could have a point. Watch the video to find out for yourself. www.americanrhetoric.com is a great website to utilize if you would like to start using the study of speeches to enhance your English language skills. If you enjoyed this post, tell us what you think by clicking and sharing using the tabs <===== on the left.